Following the trends of the modern market, we have created a fabric for mattresses which is fresh, tough and with a natural, pleasing look. To do this we have used a yarn which has been known and appreciated by man for thousands of years: linen. 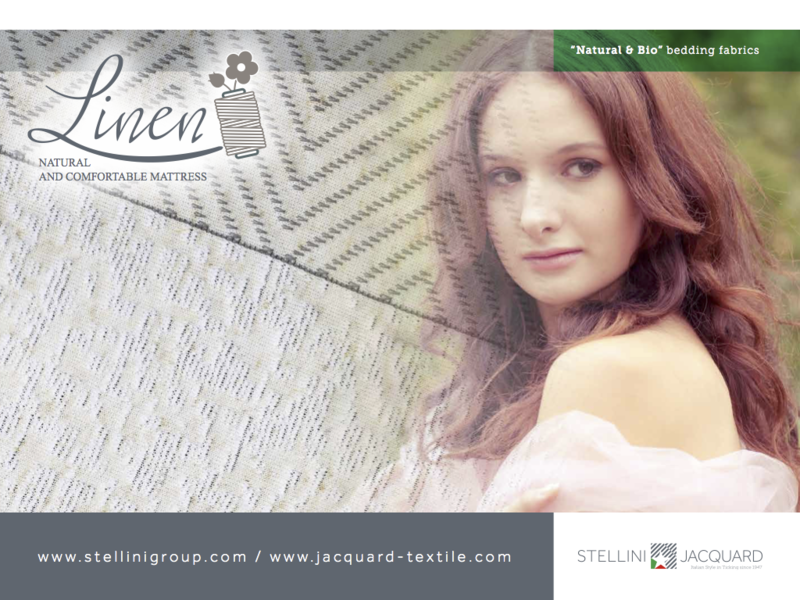 Linen is a completely natural fiber obtained from the flax plant. Exquisite fabric, beautiful and practical to use, linen is practically indestructible, wash after wash, thanks above all to its low elasticity which makes it undeformable over time. It is hypoallergenic, a natural thermoregulator, fresh and comfortable at any time of the year. For these reasons we decided to produce a range of jacquard and knitted fabrics with this yarn which will overturn your idea of beauty and quality of life.